Stress Less! Bring the cake, the gifts, and the guests...let us do the rest! Party Package includes one Deluxe Guest of Honor place setting and party favor pack, matching place settings for an additional 9 guests, one thematic candle and the appropriate number of straight candles, table coverings, free use of our thematic decor, advance set-up and no stress clean-up. 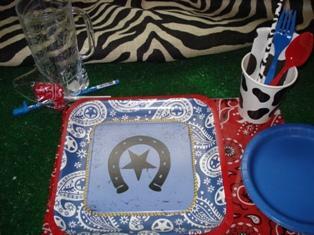 Want all of your guests to have Western Star treatment? 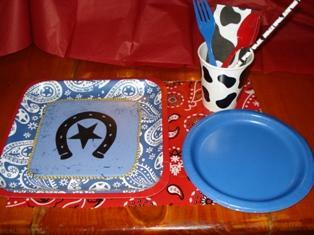 Round up matching party favor packs for them (as already included for the guest of honor). Pre-order for the maximum expected - pay for only the ones you use!